Join us for one of Florida Winefest’s most celebrated culinary events. 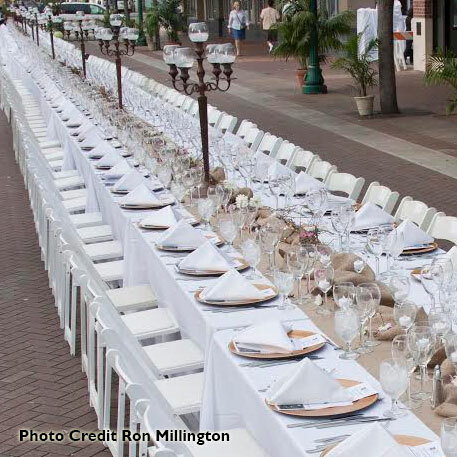 One elegant dining table stretches down Lemon Avenue in downtown Sarasota, perfectly dressed, seating 200 food and wine lovers. 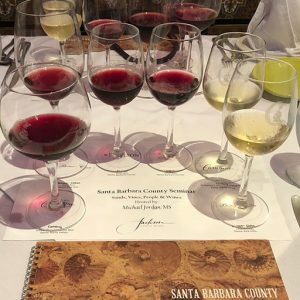 Sip and savor a stellar selection of wines from participating wineries and mingle with friends before taking your place at the longest table in Sarasota. Your taste buds will dance as you relish savory dishes created by one of our talented chefs: Executive Chef-Owner Laszlo Bevardi of Bevardi’s Salute, Chef di Cuisine Michael Freeman of Duval’s Chef Christian Hershman of The Overton, Chef–Owner Paul Mattison of Mattison’s, Chef-Owner Samuel Ray of Tsunami Sushi & Hibachi Grill, Chef Nils Tarantik of Element: Modern Mediterranean Grill, and Chef Marcos Vasquez of Siesta Key Oyster Bar.Succulent cuisine, award-winning wines and fun people will make this a night to remember. Menu will be posted when available.